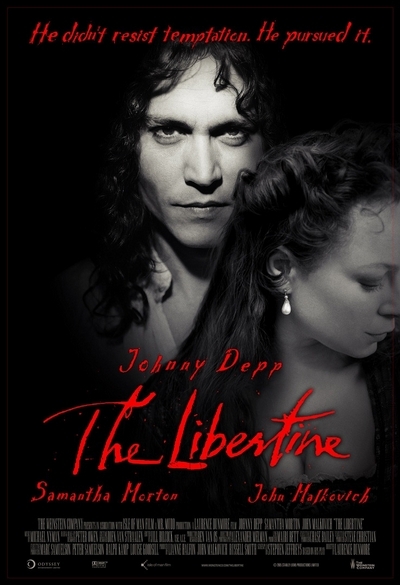 Story: Johnny Depp stars in "The Libertine" as the scandalously decadent John Wilmot, the second Earl of Rochester. The film follows the Earl's adventures in London, from his passionate romance with a young actress, Elizabeth Barry (Samantha Morton), to the writing of a scurrilous play which blisteringly and bawdily lampoons the very monarch who commissioned it, Charles II (John Malkovich), leading to the Earl's banishment and eventual downfall. Laurence Dunmore makes an assured directorial debut, creating a period atmosphere that combines the dark debauched underbelly of London with the allure and glamour of the Restoration court.